Selena Ortega-Chiolero is currently a member of the Chickaloon Village Traditional Council (CVTC) staff where she is assisting the Tribe in establishing a formal Tribal Collections and Archives that will house the history and culture of the Ahtna Peoples of Chickaloon Native Village. Selena has worked with an array of museums, galleries and non-profit organizations throughout California and Alaska. Her broad industry experience includes administration, development, curatorial, collections, exhibitions and programs. 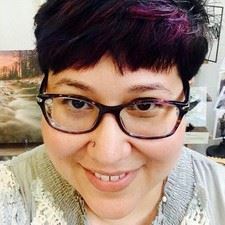 She holds degrees in both Art History and Asian Studies (focusing on Japanese culture) from California State University, Sacramento, and is currently completing the Museum Studies indigenous certification program through the Institute of American Indian Arts. Selena has been a part of the museum community in Alaska for the past nine years and currently resides in Palmer, Alaska, with her husband, Richard, and two dogs, Amos and Crash.